Most of our websites are built on WordPress, so we were excited to understand this new phase of WordPress development. In our typical workflow, we use Advanced Custom Fields (ACF) to create reusable content “sections” that can be placed on any page or post. (Check out our portfolio of WordPress websites.) On the surface, the Gutenberg concept sounds like a nicely timed (and needed) editing experience update that fits right into the way we already build pages with ACF. Gutenberg is a new WordPress editing experience creating pages and posts. It will become part of WordPress core with the launch of version 5, and currently can be tested with your WordPress site in the form of a plugin. The idea behind Gutenberg is to improve user experience with an intuitive user interface. Developers can create custom “blocks” whose presentation in the dashboard closely mimics what you will see on the front-end when you publish a page (think WYSIWYG.) Within these blocks, users are able to edit page content within the structure a developer has created. 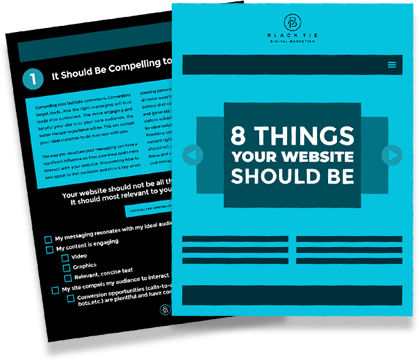 This cleverly gives an editor or marketer enough power to build out their own web pages, without sacrificing the best parts of a website’s design. Gutenberg is more than just a replacement for a text editor, it’s an overhaul of the way we’ve been developing and editing WordPress websites altogether. Gutenberg definitely has the potential to replace ACF. And while ACF saved the day for developers and the clients they work with, the fact that Gutenberg is now in WordPress’s core is extremely important. While ACF is a robust plugin, when an update happens to WordPress’s core it has the potential to break the website. We didn’t see that often with ACF but now that the functionality of pre-built page blocks is native, it’s less likely to break after an update. Another positive aspect of this native functionality is that it can decrease load times for websites. In essence, by updating the user interface and making this content builder native, you get an improved user experience for the developer, editor, and client. While many developers and agencies will hold onto the ACF (or other visual builder) workflow for some time, this is going to end up biting them in the long run. It’s going to be difficult to compete with a native page builder like Gutenberg. A toolkit expertly maintained by core developers is less likely to break on updates and results in faster render times with a more fluid, visual UI and UX. WordPress is positioning itself not only to leave ACF behind but also better compete with other visual-based editing platforms like Wix and Squarespace. The most important aspect of Gutenberg is that it is native to WordPress. Developers won’t have nearly as much to worry about when updating their sites’ core software. The fewer plugins a site has installed, the fewer opportunities it has to break. Not to mention, this often reduces your website’s server requests, which should result in faster load times. Gutenberg is a massive shift for WordPress. It’s going to make developing and editing websites fresher, easier and sleeker for both developers and the people who manage them. This update will encourage a new kind of experienced developer who can create fast, seamless and stable user experiences. We think this new technology is going to set a standard for User Experience and User Interface that will be hard to match with other methods of development like the ACF plugin and Visual Builders. This Gutenberg will have a similar impact on the digital age as the original did during the Renaissance. It’s going to make editing websites easier for the masses and push developers to adopt a modern language that will create a consistency never before used on a platform as pervasive as WordPress. It’s gonna be big.